Motor vehicle accidents are the leading cause of death and injury for all children. When compared to the use of a seatbelt alone, an appropriately selected and properly installed car seat can minimize the risk of injury by up to 80% and reduce the risk of death by 28%. The two most popular varieties of car seats are convertible car seats, which can be modified to accommodate a growing child, and specifically designed infant seats. 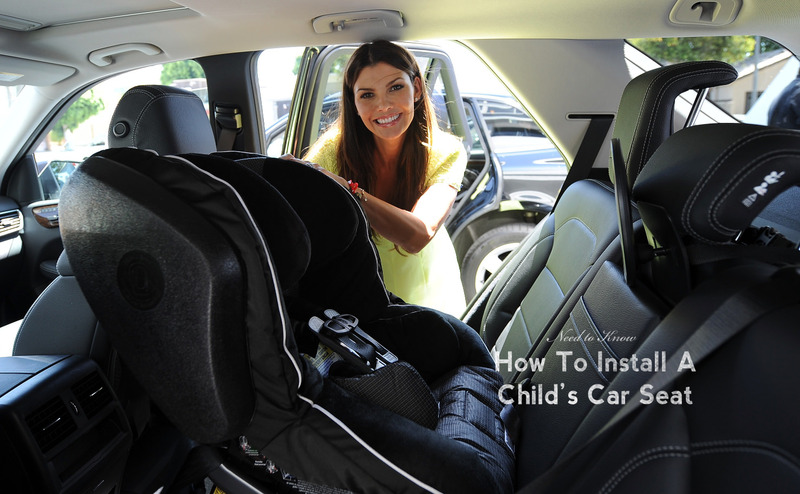 Here are some tips for how to properly install both types of car seat. Make room for yourself by advancing the front seats as far as possible. To ensure a tightly installed car seat, recline the vehicle seat prior to installation and return it to the upright position once you have installed. For most car seat models, pull the seat belt from inside the car seat, so that the latch passes over where the child will go (don’t pull it around the seat). A couple models of car seats have exceptions to this rule – so make sure you read the instructions that accompanied your specific car seat! To ensure the infant seat is tightly held to the vehicle seat, put your entire bodyweight onto the base of the seat while you install. To get the belt as tight as possible, go back and forth between weighting and tightening each side. Orient yourself between the car seat and the front seat. Using your torso, push the car seat into the seat on which it is being mounted. You can use your hand to apply pressure to the seat if there isn’t enough room between the car seat and the front seat, but using your torso will ensure the most secure installation. Similar to infant seats, lean over the car seat and sway from side to side to get the seat belt as tight as possible. Your child’s safety is your top priority and a car seat is a necessary tool for keeping them safe. Along with selecting the appropriate seat for your child, correct installation is vital to ensure that your child is as safe as possible.